“Queensbridge, y’all ready to see Nasty Nas?” Thus begins Nas’ “Nasty,” a return to form that justifies the answer to that question always being “Yes, duh!” With rugged, street-level bars about the finer things in life and being better than other rappers that recall his legendary post-Jay-Z battle street single from 2002’s God’s Son “Made You Look,” and a slick-tongued flow Nas admits his fans haven’t adjusted to, “Nasty” is every bit what its title implies. It also gives hip-hop diehards who have spent the last 15 or so years hoping for a second Illmatic a spoonful of Nas showing off the skills that keep his name in “greatest rapper of all time” debates. It’s not quite as good or vital as “Made You Look,” and that owes partly to Salaam Remi’s watered-down production. On “Made You Look,” Remi warped the familiar “Apache” rhythm to a tight loop with a killer horn hit, and punctuated each verse with a fully earned gunshot effect. He tries the same trick on “Nasty,” but the blast isn’t as loud, and the intertwined drum loops that form the beat’s backbone don’t have the same whumph that reconstituted “Apache” horns do. Still, this is a far sight better than some of the beats Nas has rapped over in recent years. But to Nas purists, it won’t matter: this is at least the best Nas has rapped as a solo artist (2009’s slept-on Distant Relatives with Damien Marley is a different animal) since The N—er Tape, a prelude to his 2008 album, Untitled. 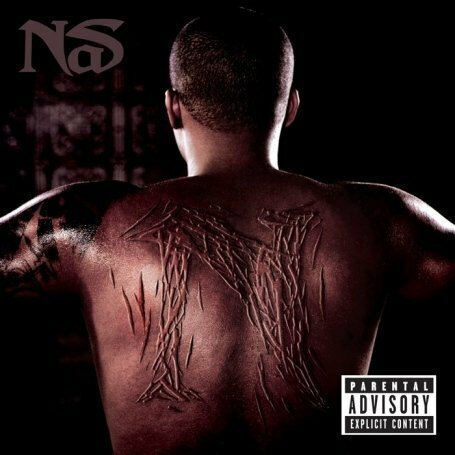 (You know, the one with the N PhotoShop-lashed on Nas’ back on the cover?) That mixtape was Nas at his best: painting rudimentary portraits of himself with intricate lyricism, and eschewing the overwrought and pointed social commentary that would be hit (“Sly Fox”) or miss (“Fried Chicken”) on the album that followed for plainer statements of fact and purpose. Hell, even “Hero,” a synth-soaked, Polow da Don-produced, Keri Hilson-assisted cut that went on to soundtrack FOX commercials about its fall 2008 lineup, sounded good in the context of that tape, which also benefited from contributions from DJ Green Lantern and DJ Khalil. On that tape, Nas seemed fully in control and fully committed to unrepentantly telling the tales of the street in ways he hadn’t been since about “Made You Look”; “Nasty” sounds like he’s rekindled that flame, if not the one that blazed bright when as an adolescent he laid down Illmatic. And Nas warns that he’s “just begun to black” near the end of the second verse: if that’s true, Life Is Good, out this fall, could be a towering work. In true Nas fashion, though, his most compelling work in years got overshadowed by rap’s most compelling artist at his most compelling, just hours later. “Mama’s Boyfriend,” a track Kanye West first performed at Facebook HQ during his whirlwind tour of the brick-and-mortar foundations of social media in early 2010, leaked late last night, and flashed an introspective, micro-focused version of Kanye that fans initially loved about him around The College Dropout, his 2004 debut. “Mama’s Boyfriend,” which finds ‘Ye plotting parallel courses as the child of his single mother and the man dating a single mother, triangulates the domestic concerns of “All of the Lights,” the anguish of 808s and Heartbreak (“When I become my mama’s boyfriends?”) and the warmer, more organic feel of Dropout. And it’s the simplicity and honesty of “Mama’s Boyfriend,” a stark contrast to the ostentation of maximalist magnum opus My Beautiful Dark Twisted Fantasy, that makes it more unimpeachably great, if less ambitious. When Kanye raps, “But the door was locked and the TV up so loud/ I scream out ‘I ain’t gon’ sleep no time soon!/ And when I do, I’m sleepin’ in my mama room!’,” he’s at once the skilled storyteller who knows how to pack his whole heart into a vignette and the petulant kid we see at every award show. Defending his mother’s honor, of course, trumps defending the artistic merit of a Beyoncé video, and it’s hard not to care about Kanye complaining; Drake, all moneyed malaise, could learn a lesson or seventy from him. “Mama’s Boyfriend” doesn’t fit MBDTF, just like MBDTF didn’t fit the progression of Kanye’s rap-heavy college-themed trilogy, and it’s no surprise it was left off. And this version of it doesn’t seem quite finished: Kanye mumbles a line in the first verse that he shouted at Facebook, and Andrew Barber, the proprietor of essential Chicago hip-hop blog Fake Shore Drive, went on a dogged hunt for details about the production that turned up no confirmation. In this moment, it doesn’t much matter who produced “Mama’s Boyfriend”: rap’s continual torrent of leaks and Internet-released singles so rarely has such valuable hunks in the flotsam as it and “Nasty.” Maybe it was just something in the water on Monday, an extraordinary day for rap that included: Kanye protege Big Sean’s album leaking; a Lil Wayne flip (“Dear Anne”) of Eminem’s seminal “Stan” emerging; a new song from New York traditionalists Jadakiss and Styles P being released; the fantastic “Woopty Doo,” produced by Kanye and long-time collaborator No I.D. and featuring decent verses from Big Sean and fellow G.O.O.D. Music soldier CyHi Da Prynce, getting only a fraction of its due; and four newly leaked rap songs (“Dear Anne,” J. Cole’s abortion tale “Lost Ones,” Big Sean’s “Marvin Gaye and Chardonnay,” and “Woopty Doo”) trending worldwide on Twitter. (Amusingly, Pittsburgh’s Mac Miller, the stylistic offspring of Asher Roth and Wiz Khalifa, also trended—albeit as “Mack Miller.”) And today brings the for-sale release of a new batch of non-disposable rap, via albums from supergroups Bad Meets Evil (Eminem and Royce da 5’9″) and Random Axe (Sean Price, Black Milk, and Guilty Simpson). Between Nas and Kanye, Monday was a great day for rap titans returning to form; beyond them, rap’s deep pool of talent proved that legends sometimes have to do that much just to stand out.